Reply by R. Zamariola, Esq. Reply by Patricia Apy, Esq. The Bring Sean Home Foundation is pleased to announce that co-founder and director David Goldman and his son, Sean Goldman, were honored by the National Center for Missing and Exploited Children (NCMEC) at the 2014 NCMEC Hope Awards on Tuesday, May 6. The Hope Awards is an annual celebration held in Washington, D.C. to remember missing children and help inspire hope for searching families. At this event, the NCMEC recognizes the courage of survivors and the contributions of individuals whose efforts have helped to make the world a safer place for children. The awards are presented each May in honor of National Missing Children’s Day. Please join us in congratulating all the honorees for this tremendous and well deserved recognition. 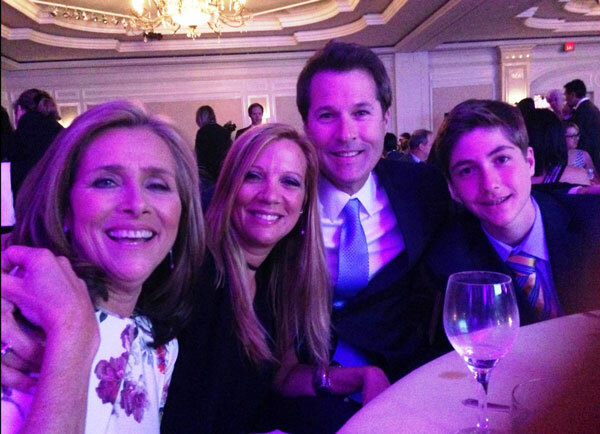 PICTURED: Meredith Vieira and the Goldman family, Wendy, David, and Sean, at the 2014 NCMEC Hope Awards Dinner.